We regret that all goods sold are not refundable or returnable. Products are only exchangeable if they have been defective and faulty. 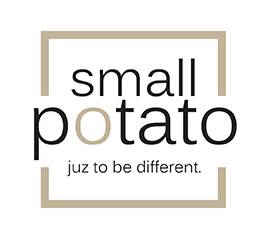 Smallpotato reserves the right to disallow exchanges based on management&apos;s discretion. * We will ship you the parcel within 24-48 hours once payment received. * Once the order has been shipped, we will send you an email with the delivery information. * If you do not receive your parcel within the given time frame, please let us know, we are happy to help. * For urgent order, kindly contact us anytime. Should there be no stock available at the time of exchange, customers can choose to wait for the stocks to arrive or use the credit for an upgrade of product. * For replacement items of lower value, the excess amount will be credited into customers&apos; accounts with us in the form of store credit (with cash value), which can be used by the customers for their future purchases with us. For replacement items of higher value, customers will make good the difference. Please note that “Failure to cook” by Food Jar is not a valid reason for exchange. If you face problems to cook using Food Jar, please test the food jar by pouring hot boiling water until 90% full, close tightly and leave it for at least 6 hours. If it remains very hot after 6 hours, it means that the heat retention of the food jar is in good condition. You may refer to FAQ (Products) page for details.